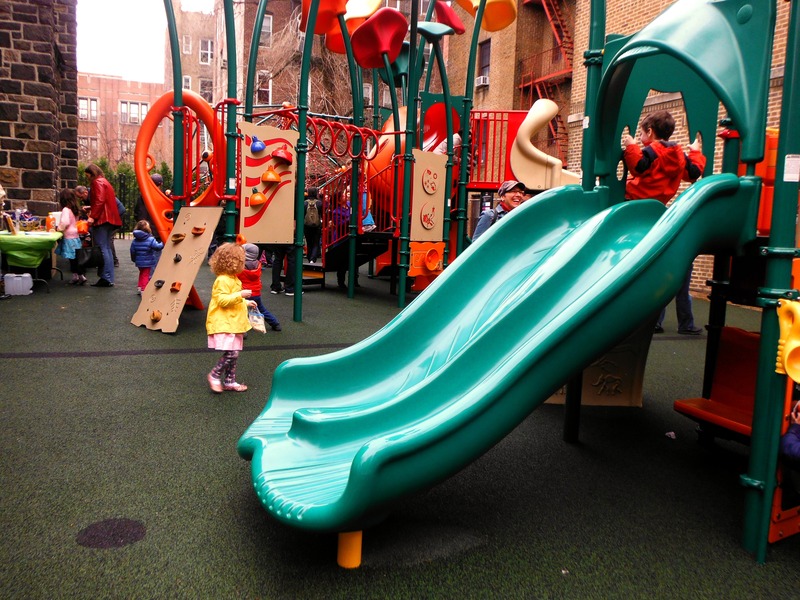 The Learning Park is a state-of-the-art playground which is at 82nd Street Academics. 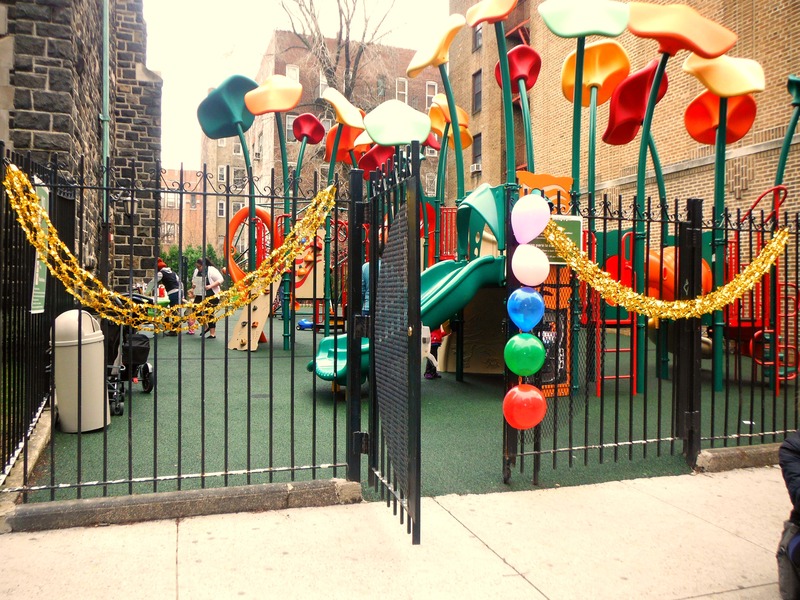 Through the construction of the park, we aim to give our students more opportunities for outdoor physical activity. 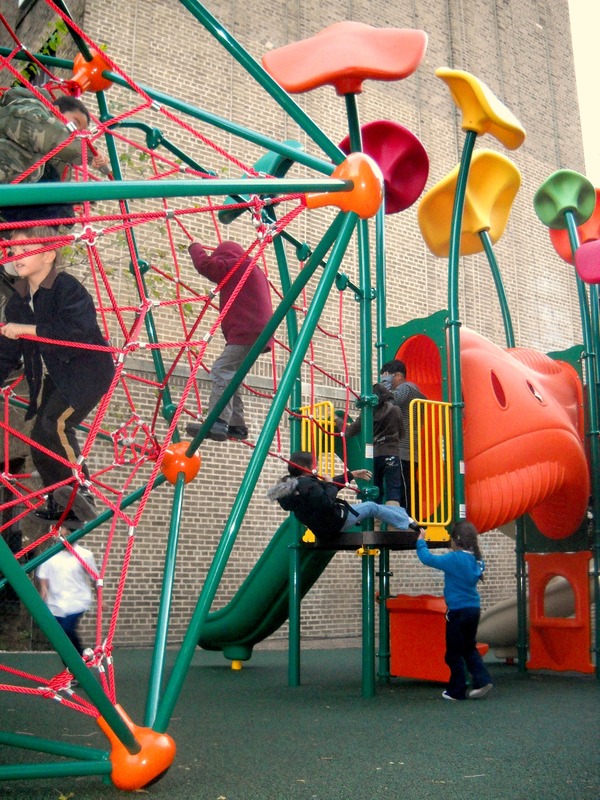 Students will develop balance, strength, coordination, and agility through the use of the playground equipment. The project was started in 2006 with the installation of wrought-iron fencing around the western side of the Prayer Garden by Joseph Lock Co. 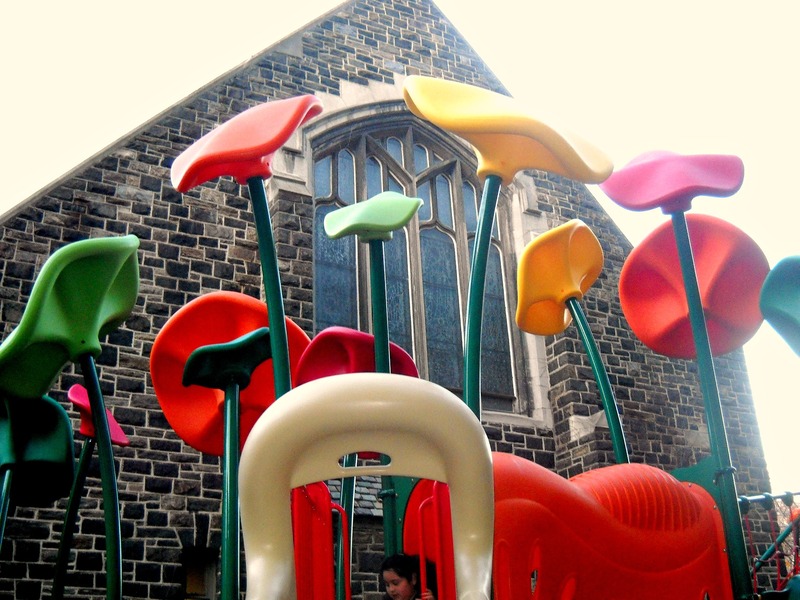 In 2007, the Board of Directors voted to make the Learning Park a priority project, and our fundraising efforts allowed us to purchase site preparation services. Millamar Landscaping Co. was contracted to remove excess soils, level the grounds, and create a sub-base of crushed concrete. Funding was bolstered through a generous grant from the office of New York State Senator John D. Sabini (D – 13th Senate District). We also received an award from the New York State Office of Children and Family Services with the assistance of Senator Sabini and State Assemblyman Ivan Lafayette (D – 34th Assembly District). We appreciate all that our local legislators have done for us! 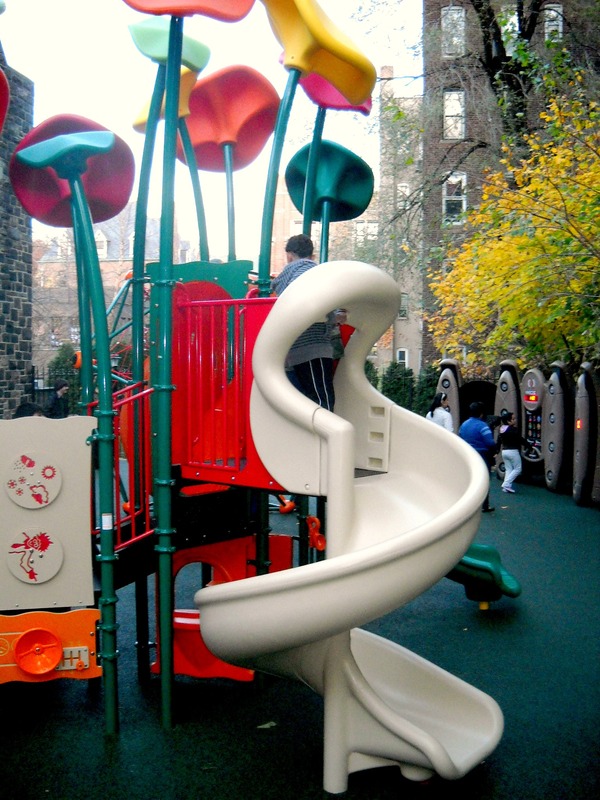 We worked with Raymond Michael Ltd., a distributor of Playworld Systems Inc. to develop the Learning Park’s design.